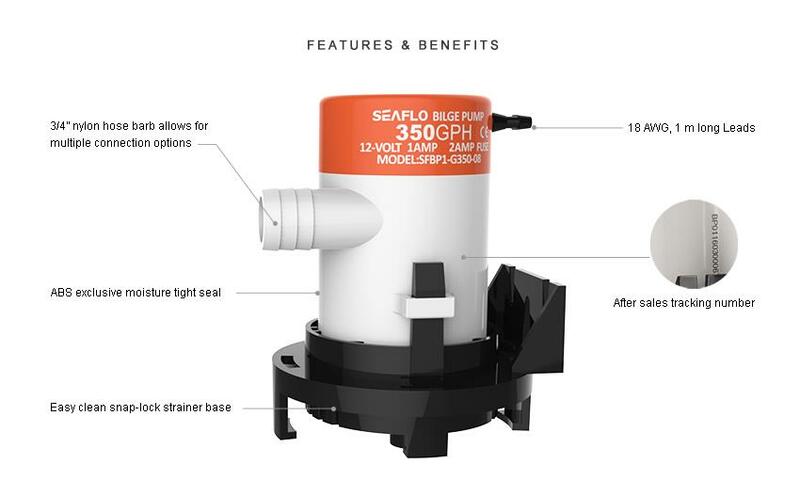 SEAFLO non-automatic bilge pumps offer standard action activated by a panel or float switch. Strainer allows the pump to be mounted in 2 ways, either traditionally to the bottom, or mounted to the side vertically. Flooded suction priming capabilities. Removable strainer for easy replacement or in the event that the pump becomes clogged with debris. For more details see the Seaflo web site. Click the button below to add the Seaflo Bilge Pump - Non-Automatic, 08 Series 12V - 350GPH to your wish list.